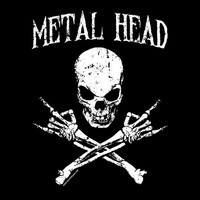 This is a group devoted to those who like to kick back and head bang to metal. Be it black all the way to alternative - the Metal Alliance welcomes you with open arms. The creator right now is a pretty laid back, metal loving girl from germany. I guess we will have a lot do discuss! I highly recommend the new Sleep album, The Sciences. wus poppin, love me some sabaton,misfits. Hello! Does anyone else get super excited when they hear a strongly metal-influenced soundtrack to an anime? I always feel like those are the best. Btw - I love Behemoth, Megadeth, Mastodon and Dethklok! @ayan528, I listened to both heavily in high school. Insomnium's first record was a melodeath prodigy. Sweet, @Zehnketsu! Glad to hear you like it. This is the direction black metal is going now. Deafheaven are a bunch of hipsters, but even Abboth (Immortal) approves. @nonspecificscientific I listened to Deafheaven and WITTR, I really like both of their sounds, it's quite soothing. "A Looming Resonance" and "Come Back" blew me away when I first heard them. @Metalgeek95 Welcome, Glad to see more people join! Anyone here like Insomnium/Dark Tranquility? guys..who here has any thoughts on dillinger escape plan? @Zehnketsu I saw Alcest live in February. Amazing. Burzum is great. :D The obvious next step would most likely be deafheaven. SUPER mainstream, but worth the hype. Otherwise, there's Wolves In The Throne Room. They're good. I haven't heard that much of it, but I do enjoy bands like Summoning, Burzum, and Alcest. What are some other bands I should try? Who likes atmospheric black metal? What's up everyone? I'm glad that there is a Metal group in this site. Let's make some noise & keep this group going.